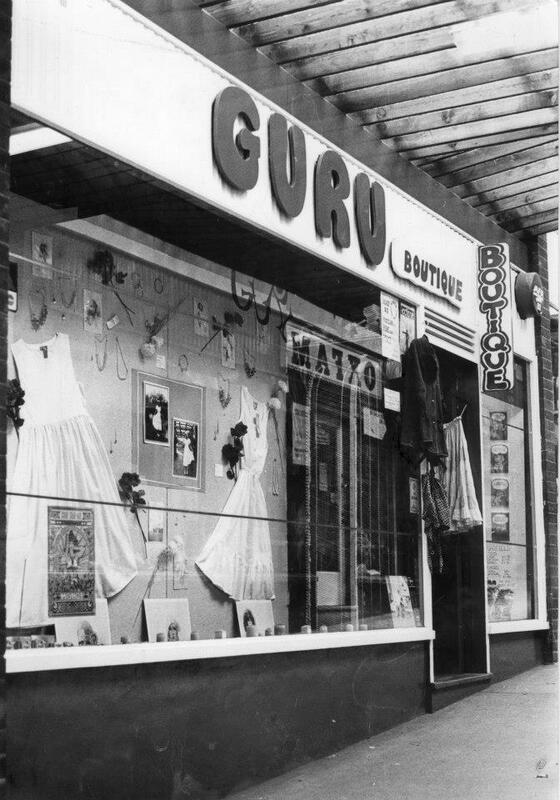 One of Guru’s three units in Court Arcade in the late 1970’s – Window dressing by Lorraine Bailey! This arcade was ahead of its time, as it was a truly exciting and alternative place to be. Over the years there was a saleroom, a diner, a Spencers trousers shop, a couple of comic shops, an American clothing shop, a retro shop, a joke and magic shop, a wool shop, several record shops (including ours), a pet shop (with snakes which sometimes escaped), a jewellers, a wool shop, a baby wear shop, a gift shop and of course Guru Boutique! !